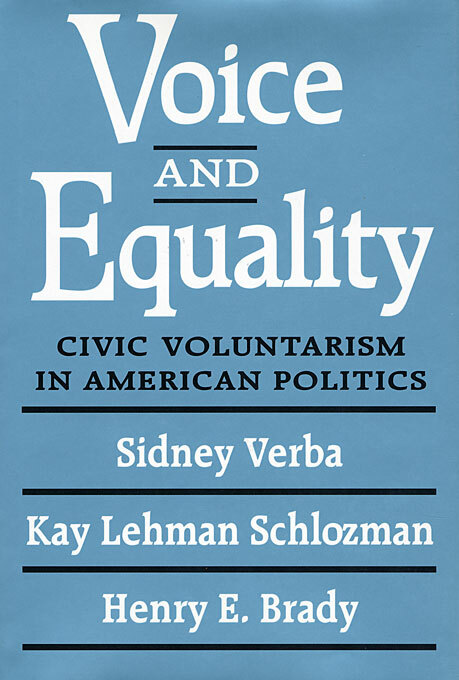 This book confirms the idea, put forth nearly a century and a half ago by Alexis de Tocqueville, that American democracy is rooted in civic voluntarism—citizens’ involvement in family, work, school, and religion, as well as in their political participation as voters, campaigners, protesters, or community activists. 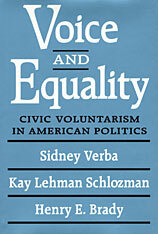 The authors analyze civic activity as none have before. They have created an original survey of 15,000 individuals, which includes 2,500 personal interviews, that focuses on the central issues of involvement: how people come to be active, their motivations, their resources, and their networks. We see fascinating differences along cultural lines, among African-Americans, Latinos, and whites, as well as between the religiously observant and the secular. We observe family activism moving from generation to generation, and look into the special role of issues that elicit involvement, including abortion rights and social welfare. This far-reaching analysis confirms that some individuals have a greater voice in politics than others, and that this inequality not only results from varying inclinations toward activity, but also reflects unequal access to such vital resources as money and education. This deeply researched study illuminates the many facets of civic consciousness and action and confirms their quintessential role in American democracy.